Using the 'facilities' in most 'public restrooms' can be a very uncomfortable experience. This can also be true when trying on clothes in some department store 'dressing rooms'. 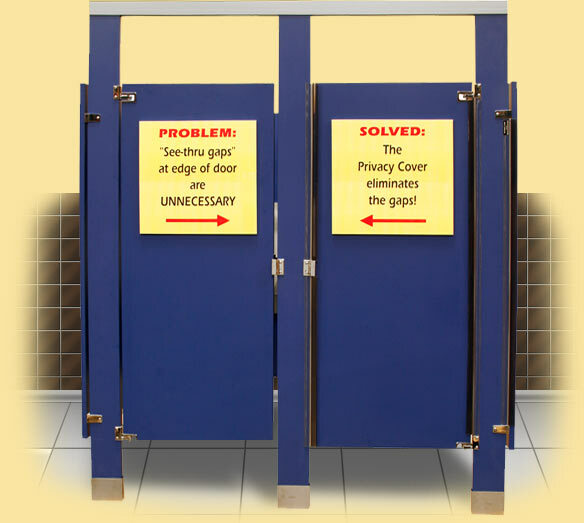 The Privacy Cover was designed to minimize and, in most cases, eliminate the offending 'gaps' at either side of the privacy door or between dividing panels. 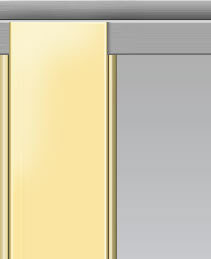 Toilet partition manufacturers make every effort to produce doors and partitions with minimal gaps, but, somewhere in the installation process, these gaps seem to grow. We have researched this dilemma, keeping in mind that various materials are used in the construction of these stalls, and the multiple methods of hinging and latching the doors needed to be addressed. We feel confident that 'The Privacy Cover' is a solution to most, if not all, of these problematic issues. 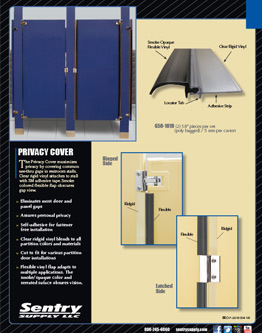 The Privacy Cover is produced from a clear rigid plastic housing and includes a flexible, smoke colored, obscure flap. The flap overlaps the gaps thereby blocking those 'prying eyes'. The clear housing, with it's 3M self-adhesive backer, is easy to install, does not pose as an eyesore and, when properly installed, offers a durable and long lasting installation. (See the accompanying installation instructions for details). Eliminates most door and panel gaps. Self-adhesive for fastener free installation. Clear rigid vinyl blends to all partition colors and materials. 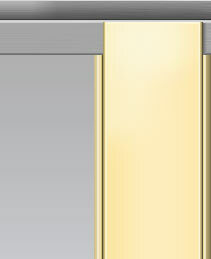 Cut to fit for various partition door installations. Flexible vinyl flap adapts to multiple applications. The smoke / opaque color and serrated surface obscures vision. You will need the free Adobe Acrobat Reader to view the brochure. You can download it for from here.